Arnold E. Miles-Pickup - Bancorp Financial Services Inc.
Arnie is currently a Principal and Director of Bancorp Financial Services Inc. 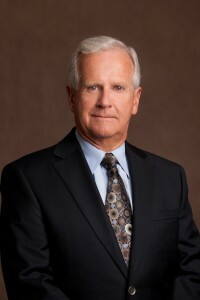 He joined Bancorp in September 2001 and was President and CEO from 2001 – 2011 when he became Chairman until March 2018. Arnie worked in the banking and financial services industry since 1969. Between 1969 and 1986, he held a series of senior positions with the Bank of British Columbia (now HSBC). He then founded and was president and CEO of Aetna Trust Company, a highly successful residential and commercial real estate lender, financial intermediary and personal trust operation, which was sold to Canadian Western Trust in 1996. Arnie holds a BA in economics and psychology from the University of British Columbia.